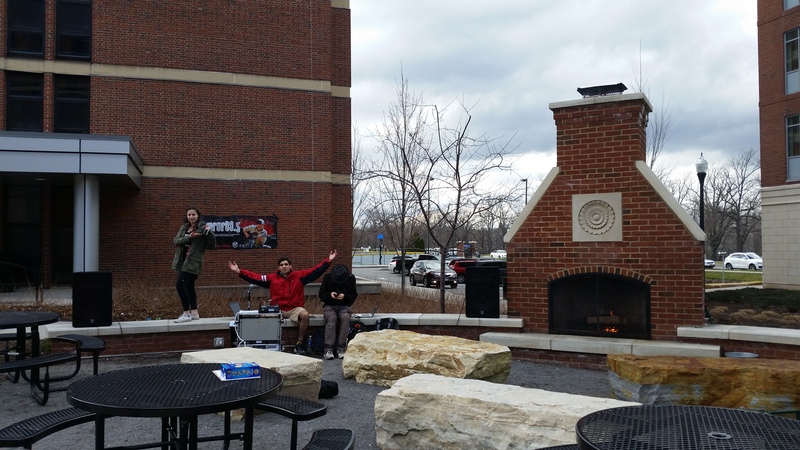 WRUR provided music for the Jackson Court Block Party today, 4/1/16 (and no, this is not an April Fools joke, look at the below picture). The Jackson Court Block Party is an annual event put on by the hall council in Jackson Court. Jackson Court, also known as Towers comprises the residence halls Anderson, Wilder and O’Brien, as well as Sage Arts Center.